Sorry, this event was canceled by the organizers. On October 27, we plan to present an information table at the Fall Shopping Extravaganza for Hunger sponsored by the Austintown Salvation Army. 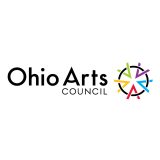 The event will be held at Austintown Plaza, 6000 Mahoning Avenue, Austintown, Ohio from 10 am to 4 pm. It will be located in the building that JC Penny and BW 3 are in. The entrance is on the small parking lot to the south of the building. We will be promoting our upcoming concert and current fund raisers, selling baked goods and Stambaugh Note Cards. Sign Up for our mailing list at this event. interested in becoming a member, let us know. We will be looking for members again in January to participate in our Spring events. The Chorus presented an information table at the North Side Farmers Market on September 15th. We will also be at Quaker Steak & Lube, Interstate 80 in Austintown on Monday, September 17, 2007 from 3 PM until early evening to greet the public. Individual chorus members plan to participate in the upcoming production of Rigoletto by Verdi. 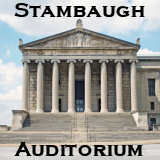 Opera Western Reserve will host the event at Stambaugh on November 9, 2007 at 8 p.m. If you are interested, please sign up very soon at a rehearsal. Time is of the essence. Are you an Opera Lover? well Rigoletto has it all! Ticket Information can be obtained at the Opera Western Reserve website or at Stambaughauditorium.com. We are currently accepting new members until late September. We will have a second membership drive in January for our spring performances. This year’s repertoire is both challenging and interesting. 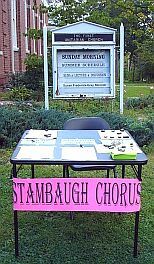 If you like to sing, the Stambaugh Chorus is the group to join. Our membership comes from all walks of life and all age ranges. See our membership information page for more details.